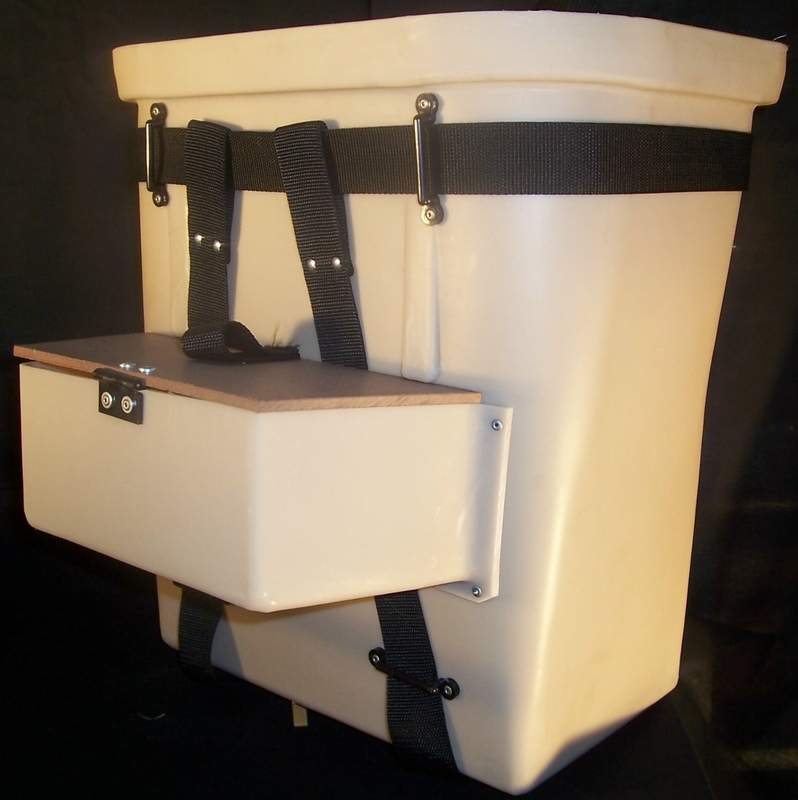 Fiber Tuff 18" Packbaskets - Extra heavy fiber reinforced resin, made for sub zero temps without breakage. Will not rot or leak like wood. Stronger and heavier than fiberglass. Larger size - 330's fit in this one! 18" tall, lure pouch has lid that snaps shut. Medium tan in color. Now with wider harness. Harness Included. Available with or without compartment. WE ARE SOLD OUT OF 18" BASKETS WITH COMPARTMENT AT THIS TIME.